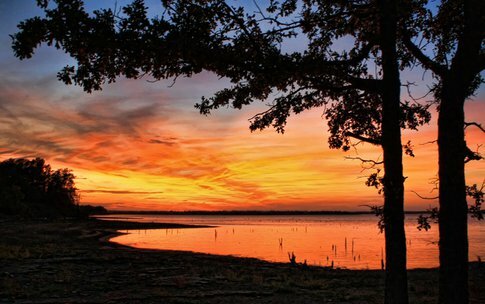 Located on Oklahoma's largest lake, Brooken Cove Campground offers a variety of campsites along the water's edge. Choose from 73 different campsites, which come with either 30 or 50 amp electric hookups. There are nine pull-through sites and one handicap accessible site. Brooken Cove Campground is also pet friendly, so bring your furry friend out to spend a day at the lake. Additional amenities at this Army Corps of Engineers Campground include two group picnic shelters, a playground, marina and boat ramp. From Enterprise, take Highway 71 north for 5 miles and follow signs to the campground.